Is the People v. O.J. Simpson accurate? A fact-check of episode 2. What’s Fact and What’s Fiction in Episode 2 of The People v. O.J. Simpson: American Crime Story? 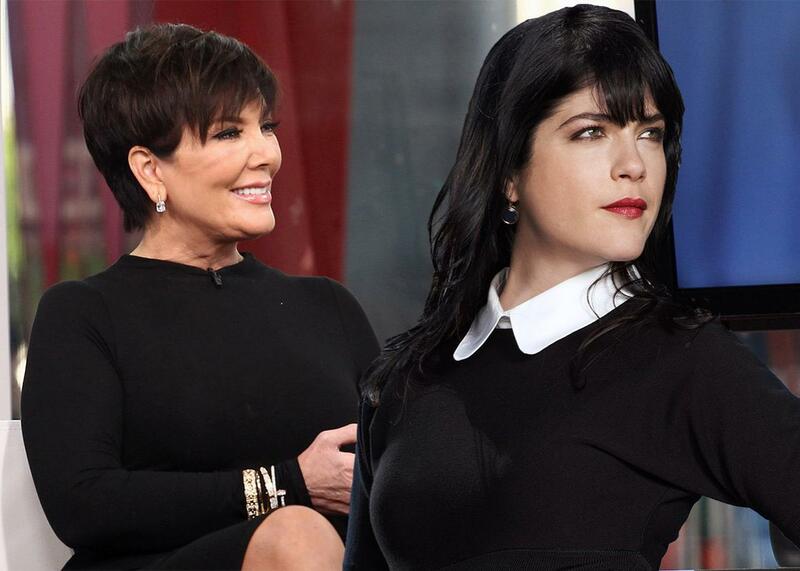 Kris Kardashian and Selma Blair. When I decided to undertake a fact-check of FX’s The People v O.J. Simpson, I figured it would be an exercise in catching the creators in embarrassing deviations from the truth. Instead, the experience of simultaneously watching the show and reading the book it’s based on, Jeff Toobin’s The Run of His Life, has mostly just left me impressed with the volume of details the show gets painstakingly right. More than anything it reminds me of seeing a movie with subtitles in a language you happen to know—you read the translations for fun, and you feel a little thrill from knowing that you’re picking up on stuff other people in the audience aren’t privy to. My “methods” are not remotely exhaustive—lord knows there are innumerable books, articles, and court documents I could read if I really wanted to, and plenty of people who would dispute this or that aspect of Toobin’s version of events. The prosecutor Marcia Clark, for instance, told New York last week that Toobin was wrong to have portrayed her and her colleagues in the D.A.’s office as being taken by surprise when Robert Shapiro and Johnnie Cochrane, O.J.’s lawyers, made race a centerpiece of their case. I’m not trying to litigate that. I’m just trying to find out some crazy facts about the O.J. Simpson trial! To that end, let’s dive in to Episode 2. 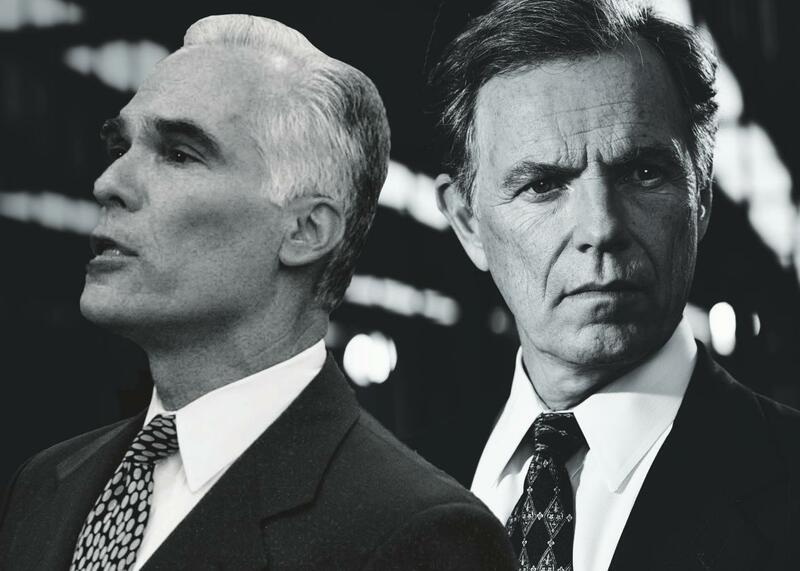 Bruce Greenwood and Gil Garcetti. The stand-off that took place in front of O.J.’s house, during which it was unclear to the millions of people watching on live TV whether O.J. was about to kill himself, went a little differently in reality than it does on the show. Second, the show portrays the crucial pre-surrender conversation as taking place between O.J. and Robert Kardashian, but in truth the main negotiator was Pete Weireter of the LAPD’s SWAT team. And finally, the thing that got A.C. to leave the Bronco was not O.J.’s go-ahead but the fact that he needed a new battery for his cell phone. It so happened that not long after A.C. got out of the car to run this errand, O.J. himself emerged and turned himself in. 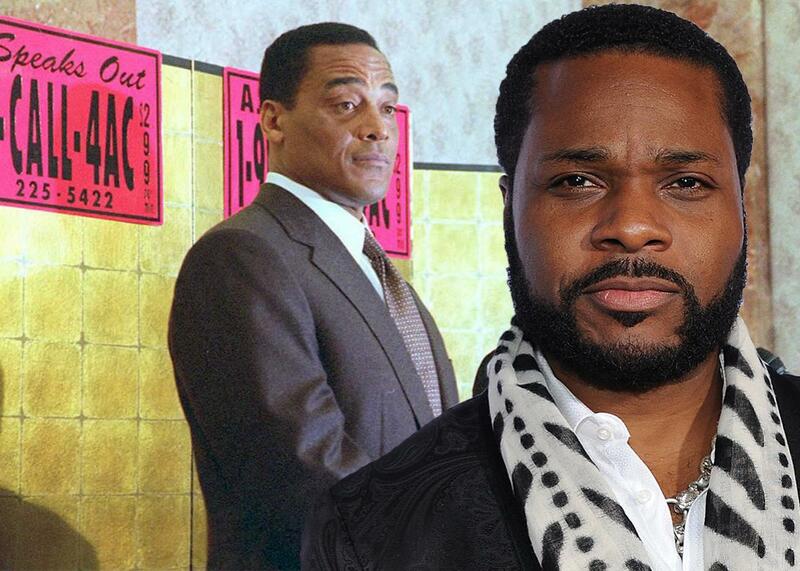 Al Cowlings and Malcolm-Jamal Warner. Is it true that O.J. asked for a glass of orange juice after he surrendered? Did O.J. and A.C. really take the Ford Bronco to Nicole’s gravesite after they absconded from O.J.’s house? Probably not, but at the very least they thought about it. In the deposition he gave in his civil case, Simpson said he and Cowlings had pulled off the freeway to go to the cemetery, but decided to skip it when they saw the police had staked it out. Did the 911 call that led police to the Bronco really take place near the forking of Interstate 5 and the 405? Yep. According to Toobin, the call was made by a couple near the El Toro Y interchange, which was about five and a half minutes away from Nicole’s gravesite. One funny liberty the showmakers took is that they made the young man who called the Bronco in look like he was mainly bemused by the sighting; in reality, according to Toobin, he told the dispatcher, “We looked at [A.C.], you know, and he like stared us down, like he was death.” You can kind of understand why the creators cut this—it would have been a bit much, even for this show. At one point someone in the D.A.’s office jokes that the Bronco chase was “the world’s longest Ford Bronco commercial.” Did it actually help sales? Is it true that NBC tore away from coverage of the NBA finals to show the chase? Yes—that is not the sort of thing this show would make up. It was Game 5 of the Knicks vs. the Rockets, and the game was still going on by the time O.J. surrendered. The Knicks won by 7. Did A.C. really scream, “You know who this is, goddamnit!” when he called 911? Was “Sabotage” by the Beastie Boys really playing during the climactic moments of the Bronco chase? Alas, this one is unknowable. But let’s just say yes.